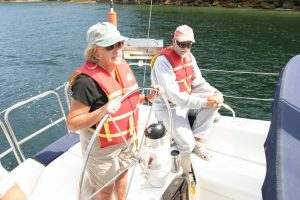 It is always absolutely vital to be well prepared before embarking upon any sailing trip in Vancouver and indeed anywhere in the world. This includes, supplies, maintenance equipment, emergency tools, and safety items. checking the list. Organisation is also crucial. A well organised stock room, medical cabinet, and safety zone make for happier sailors in the event of a crisis. As well as all the usual items, there are some tools that can prove particularly useful in a limitless number of situations on board a vessel. Firstly, an adjustable wrench. This may sound quite commonplace, but you would be surprised how often these are missing off the checklist. A seven inch adjustable wrench can get you out of many a sticky situation on board. The Sea Spanner is a model from New Zealand which is very popular with the highest calibre of boatmen, made of high quality stainless steel, the tool has a 25 millimetre spanner, a bottle opener, and a shackle spanner. Its versatile handle makes it comfortably usable for more than one type of repair. A regular adjustable wrench will do the job, but if, like many sailors, you like having the best on the market, this is the one for you. A multiuse gadget such as a Leatherman is always handy on board, and its pocket-size means that it should always be accessible for you to utilise as needed. Multi tools are space savers as well as handy pieces of equipment which is great because there is only a certain amount of room on board a boat. 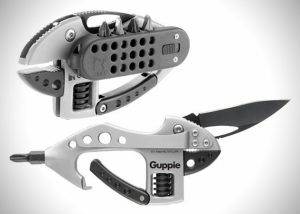 Having something like this will mean you are safe in the knowledge you have the basics with you (such as a flat headed and a Phillips screwdriver, pliers, assorted knives, and that all important corkscrew), should all else fail. A third, often overlooked piece of equipment is the trusty self-sealing silicone tape (aka Rescue Tape). It is quite common for water to get into unwanted places on a boat, and such tape can help keep you watertight in any areas that you want to remain dry. Such tape can also be a useful implement for repairing a crack in a leaky hose for instance. It is just generally a useful piece of kit to keep nearby when journeying on a waterborne vessel. Duct tape is sometimes used due to its ability to be applied in multiple ways, but it can be quite bulky and heavy to carry. A bit more of an inconvenience than self-sealing silicone tape. Electrical tape can also be handy, for normal uses such as wiring but also for other mishaps that can occur such as your deck shoes falling apart. The silicone tape however is the most versatile and can be used for most things should space on board be a concern. To another pointy instrument – the rigging knife. A stainless steel one with a marlinspike, shackle key, and a strong, sturdy blade will see you right in a number of desk emergencies or mishaps with the rigging. It can be quite heavy (so best to keep your Leatherman style tool in our pocket), but it is more robust for some of those trickier jobs where other knifes just don’t quite cut it. Next to something you can absolutely, categorically, never have too many of on a boat; the cable tie. These small strips of plastic are extremely hardy, and can take on a number of different challenges. One use is for securing a flag to the halyard, or battening down any unruly materials that may get in the way should the sea get a bit rough. It is always good to have a few of these simple, yet useful items on your person. Something that you can also wind up being short of on board is light. This is why it is always a great idea to have a battery powered headlamp. This will stop you getting caught in a dark spot, trying to undertake some complex mechanical or electrical repairs. This is kind of vital, as it is no good working with any of the aforementioned tools if you cannot see what you are doing – that’s a good way to lose a finger. This is why it is also crucial to have a store of batteries, and refresh them before setting off to attend to any repairs. It may also be handy to have a couple of handheld wind up torches aboard, for those instances where you may not need two hands to work on whatever it is that has cropped up. 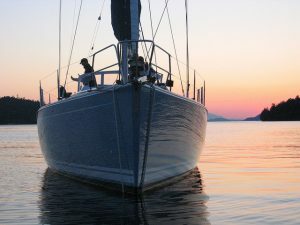 If you are hiring a charter boat or yacht, it can also be hard to know your way around a boat straight away, and so it is safest to always light your way when navigating the deck in low to no light. 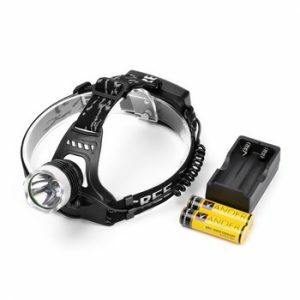 It is also worth considering getting a head torch on which you can have red light as well as white, and also one that is waterproof to some degree to avoid being left in the dark should it get wet. Goggles are another item that can be overlooked by less experienced sailors. In rough seas, and with stormy weather, these can be a real saviour. Your eyes are so important, especially on board a vessel, and even more so when visibility is reduced by adverse conditions. Without good eyesight, it is hard to make good judgements, and also your eyes play an important role in balance and thusly avoiding dreaded sea sickness. Ski goggles can do the job really well, but it is best to opt for the clear lens rather than being lured in by all the fancy colours which are ok on a white slope, but could be confusing in wet, windy conditions where you have a lot to concentrate on. It is also important to wipe the goggles properly, and with a material which will not leave anything behind like tissue or kitchen roll. Also remember, put them on before you head outside. Whilst we are on eyewear, it is also worth mentioning Polaroid sunglasses. 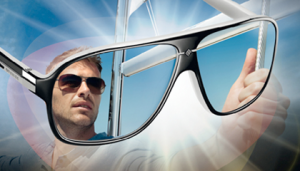 The advantages of these are that they significantly reduce the amount of glare you get coming into your eyes from refracted light. All serious sailors own them because of this, as it allows your irises to stay open wider, which improves your sight quite considerably. It is best to stick to a reputable brand with all types of eyewear, as you really do get what you pay for, and your eyesight isn’t worth compromising on especially when you may be faced with some tough conditions out on the sea. it is worth spending the extra money on a high standard life jacket. 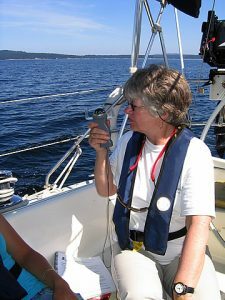 Another item to consider is a handheld GPS pre-loaded with all the local charts for the waters around Vancouver. Your skipper will be the main person doing the navigating of course, should you be hiring one, but a handheld personal device can also be of great use. It is always nice to be able to check yourself that you are heading in the desired direction of travel, and also to have the odd check that there is nothing that will get in your way. The skipper will have much on his plate, and so he wouldn’t mind the back up. 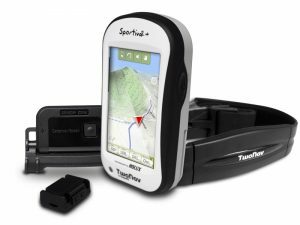 You can also keep a log book from you own device, to check how far you have travelled, at what speed, in what time. Again there are a number of options for these that will suit all budgets, so look at what you need, whilst again sticking to the reputable brands. You may also want to consider a personal EPIRP which will help out family members minds at ease should you be out in adverse weather carrying out repairs or the like. As well as all this practical safety equipment, it is vital to ensure that you have all of the correct personal effects with you. Things like an alarm clock, robust wet weather gear, sun protection, gloves, thermal underwear, a neck warmer, lip balm, and a good hat are all a good start. A kit bag in which to store all of this is probably a good idea. It helps keep all your safety equipment handy, and ensures items do not get lost in the various crevices a boat has to offer. One with lots of different sized pockets is most useful, also one that has some sort of waterproof casing or cover. 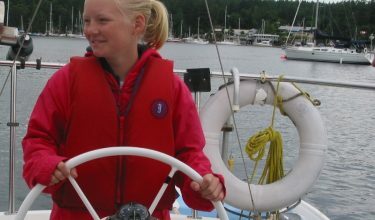 At Nanaimo Yacht Charters we always provide a full briefing and ensure all safety equipment is in good order.